Nothing beats a hearty, warm cup of soup during the cooler months and even though this past week, we’ve gotten quite a heat wave for October, I thought I’d share this hearty, comforting soup recipe with you’all. 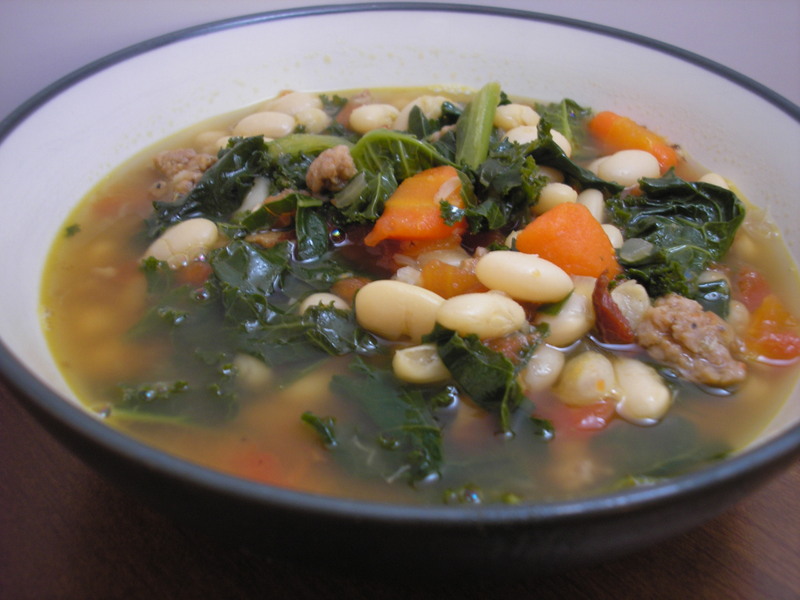 We made this White Bean, Sausage and Kale Soup the other day and it was jam packed with so much flavor and nutrition, it hit all the right spots. I prefer using turkey sausage, as it’s lighter in fat but not lighter in flavor. There are a lot of turkey and chicken sausage varieties out there, so pick the one you like the best. If you’re making this vegetarian, you can skip the sausage all together or substitute for a vegan type of tofu sausage. Kale has become of my favorite greens. 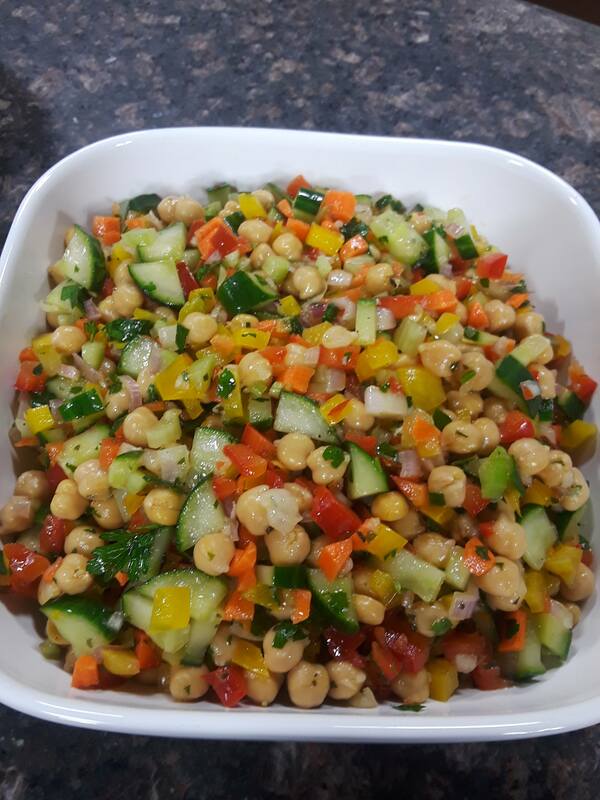 We use it in smoothies, soups, salads and stews. 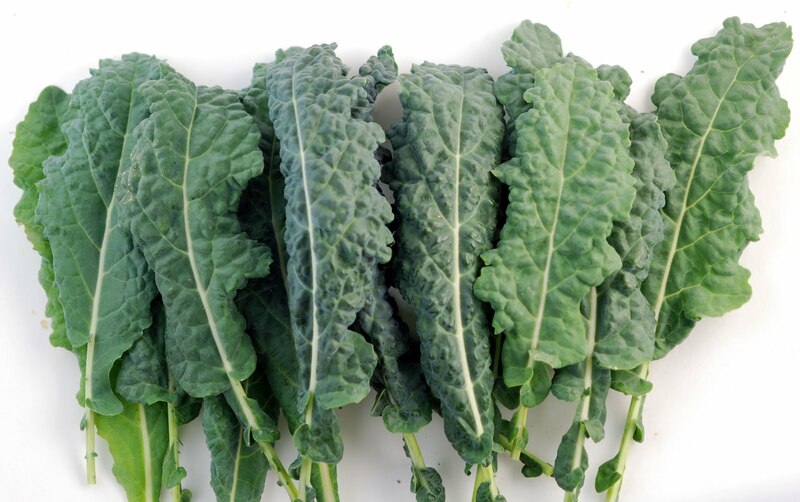 If you get the Lacinato (aka Dino Kale) Kale, the leaves are much more tender then the curly kale. You can still find a lot of fresh vegetables, including kale, at your local farmers market. This soup will warm your body, heart and soul during the cold months of winter ahead.